In today’s dynamic world there is no one-size-fits-all video security solution. There are many situations that call for different types of video security capabilities. 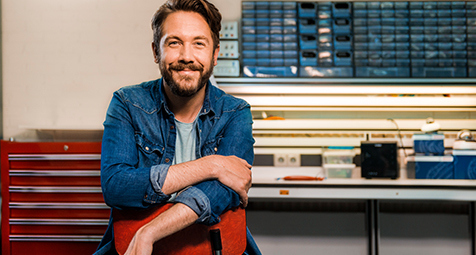 With a selection of form factors including fixed dome (FLEXIDOME), bullet (DINION) and box (DINION) cameras, resolutions up to 5 megapixel, and low-light solutions like Bosch’s starlight technology to choose from, this range offers a comprehensive portfolio to meet many different needs. 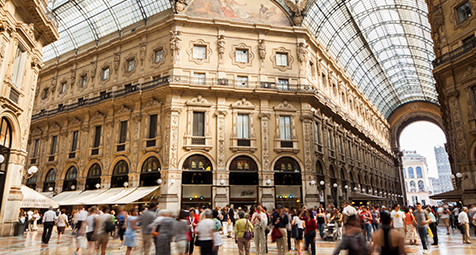 From retail to industrial solutions, a smart combination of these cameras provides solutions for indoor or outdoor, day or night, discrete or visible video security. And with built-in video analytics as standard, they offer the ability to repurpose captured video data for other uses than security alone. All IP 4000i, IP 5000i and IP 6000 cameras now have Essential Video Analytics on board as standard. This means valuable data can be retrieved quickly from hours of stored video and alert you whenever it’s needed, providing improved levels of security 24/7. However, it doesn’t end there. In addition to advanced intrusion and automatic detection with timely alerts, it enables users to go beyond security and use video data to make more informed business decisions. For example, gathering business statistics such as counting the number of people entering or leaving the store while securing the main entrance. Video data can also be used to help enforce health and safety regulations. It can improve service levels by providing automatic alerts if the number of people in a queue exceeds a certain level. Or it can be used to identify patterns in customer activity to optimize store layout, improving customer experience and sales. Essential Video Analytics is perfect for small and medium businesses, retail stores, commercial buildings and industrial facilities. To ensure captured video data meets the highest level of relevancy, the cameras’ video analytics capabilities must go hand in hand with sufficient image quality. The IP 4000i, IP 5000i and IP 6000 cameras are available in a range of resolutions from 720p up to 5 megapixel with up to 60 frames per second. For challenging lighting conditions, the new DINION IP starlight 6000i IR bullet cameras and the DINION IP and FLEXIDOME IP starlight 6000 fixed box and dome cameras feature Bosch’s starlight technology. This is combined with 1080p resolution and 60 frames per second to provide crisp and detailed color images in extreme low-light situations. For example, the FLEXIDOME IP starlight 6000 model enables highly detailed color images to be captured in scenes with minimum ambient light (down to 0.0075 lux). This enables users to make use of the camera’s full video analytics capabilities, like color filtering, even in scenes with minimum ambient light. It substantially improves the levels of security, providing new opportunities for use. When light levels drop to zero, the DINION IP starlight 6000i IR bullet camera offers a built-in infrared illuminator to detect objects (up to 60m) in complete darkness. With a High Dynamic Range of up to 120 dB the IP 5000i and IP 6000 cameras ensure perfect exposure of (moving) objects - even in challenging, unevenly-lit scenes. All IP 4000i, IP 5000i and IP 6000i cameras offer Intelligent Dynamic Noise Reduction and intelligent streaming combined with H.265 video compression. Depending on the content of the scene, this reduces bitrate by up to 80%. It helps to keep video data manageable, while substantially reducing network strain and storage requirements without compromising video quality. 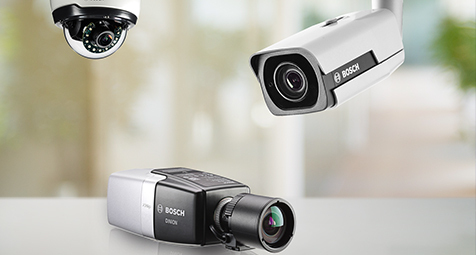 Like all Bosch network cameras, these models offer various software and hardware measures, such as a built-in Trusted Platform Module, to keep video data secure. All IP 4000i, IP 5000i and IP 6000 cameras are specially designed to maximize the ease of installation. With the same graphical user interface; if installers know one, they know them all. This substantially reduces the need for training and set-up time. They also share the same product platform, ensuring easy maintenance and backwards compatibility over multiple generations. Only one firmware is needed for all products and it can be upgraded or enhanced with new features making the cameras future proof and enabling easy integration with third party software and recording solutions.